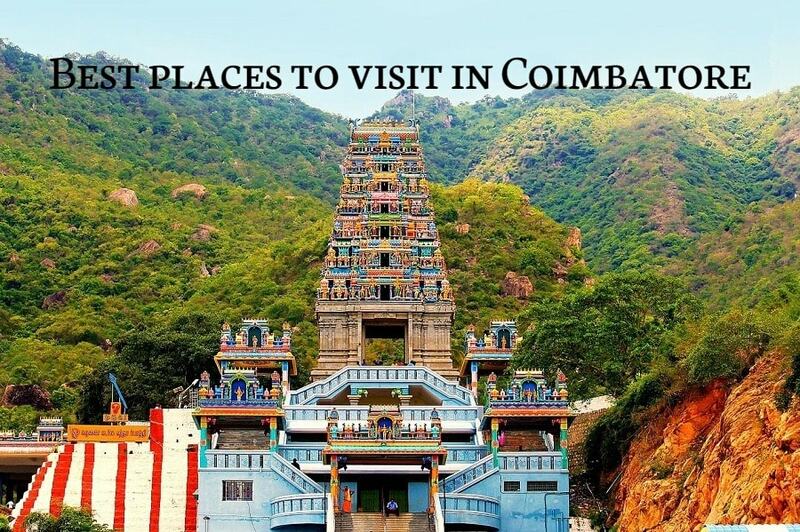 Home Travel News | Travel Guides How About a Trip to These Places in Coimbatore? Coimbatore is a very great place to visit in Tamil Nadu since it has so many tourist attractions that will keep you busy right from the moment you get down your cheap flights to India till you leave the place. This place holds some of the most beautiful natural waterfalls, greenlands and some of the oldest buildings and temples built ever. So if you ever wish to explore this side of India then feel free to come see the places in this city. So without talking about anything else, let’s quickly talk about the mist frequently and the most often visited places in Coimbatore. Scroll down! This temple as said is located on the hill which is on a height of 500 sq.ft. It is located in the Western Ghats of Coimbatore around 15 kms away. The surroundings are completely serene, holy and peaceful. It has a low slope and so the government has got the bus facilities that take you there and bring you back safe and sound. This temple worships Lord Muruga who is the most believed God in these regions. It is not just the temple but also the medicinal plants and herbs that are available here on the hill that bring saints and people here. You must be visiting it for sure if you ever get the chance. One of the most exciting, thrilling and an adrenaline rush giver, Kovai Kondattam is a very active place where people love going and spending their weekends. It is situated just 2 kilometers away from Perur near Coimbatore. This eco-friendly theme park was actually built by the Tamil actor Vijay and is suitable for people of all age groups. The best thing about this place is that you get to find water rides and also the dry rides in the same place. Isn’t it interesting? Well, that is what attracts many tourists from all around the globe. That means you will like being here too. They also help you in organizing private parties, picnics, conferences, receptions and corporate bookings. Apart from that, they also have Aqua dance, Wave pool, Dashing Cars, Rock Climbing, Hara-kiri & video parlor. Wait the list doesn’t end here! You get to see other attractions like Family Pool, Kids’ Pool, Water Slides, Water Falls, Dashing Car, Family Train, Giant Wheel, Chair-O-Plane, Aqua Dance Pirate Ship, Merry-go-round and an Amphitheatre to hold live performances. With so many things to drain your energy and raise your excitement, how can one not try getting inside this wonderful place? Like I said in the beginning, Coimbatore is the home to many waterfalls and so Vydehi is one among the most famous waterfalls in India which is located around 35 km away from the Coimbatore city. It is like a must visit waterfall in Coimbatore so make sure to not miss this one too from the list of best places to see in Coimbatore. This place has some amazing landscape and attracts photographers in majority. So of you are a photographer too then make sure to add this to your visiting lists. These were the top three places that we insist you to visit before you leave India because Coimbatore is a beautiful place and you must be a part of it whenever you can. Just let go of all those business class flights and those strict meetings that have taken up a lot of your time. Go for some last minute flights and make some sudden plans for yourself. Make the most of this time and come out of your stress. Holidaying isn’t a bad thing really. You deserve it. We hope you found this article useful and if you did then do not forget to like, comment and share this article with everyone you know. Oh! And do not forget to plan your trips as early as possible because Indianeagle.com is offering some of the best offers and deals along with the cheapest flight fares. You will have a great chance to save a huge amount. Adios!